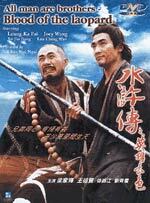 The Skinny: Loads of fighting and flying people highlight this typically dense and unevenly told wuxia. The broad storytelling may be annoying to some, but this is a fun fighting spectacle for the fans. Tony Leung Ka-Fai is Lin Chung, an overly-principled general of the Sung dynasty. Lin steadfastly refuses to betray the government to join the rebels of Liang mountain, even though he's been unjustly exiled by those he serves. The plot to ruin him has even worse consequences, but luckily Lin has wacky monk Ru Chi-Shen (Tsui Kam-Kong) on his side. With the help of his newfound "brother", Lin routs the bad guys and serves up justice in typically heroic style.